Nova Scotia is wrapped in 7,600 km (4,750 mi) of coastline. In fact, you are never more than 2 hours from the coast. Along with the world’s highest tides and more than a hundred breathtaking accessible beaches, our coastline is home to untouched bays, beautiful surfing spots and mirror-still coves - all perfect for pristine seaside Nova Scotia vacations. On the Bay of Fundy, a billion tons of water rising on the tide will lift you up to new heights of fun. Ride a raft atop the Tidal Bore, take a whale watching trip, or paddle along on the towering cliffs in a kayak. Let loose your inner seafarer with a sail aboard Canada’s famous tall ship, the Bluenose II, that tours ports around the province. 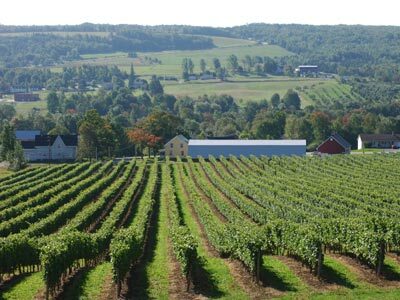 Take a leisurely cruise by car along the Cabot Trail, one of the world’s most scenic coastal drives, or chip away at a seaside Nova Scotia golf course on Cape Breton Island. At the opposite tip of the province, don’t forget to stop for our famous Digby scallops at a roadside chip wagon on the way to Yarmouth, and history buffs enjoy exploring our lighthouses, like the famous beacon of Peggy's Cove fishing village. 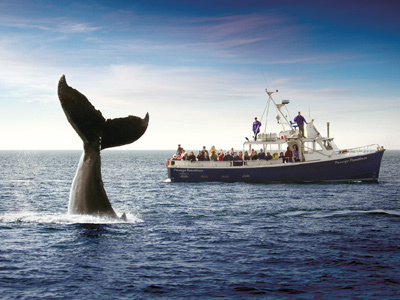 Experience the rich living history of the Fisheries Museum of the Atlantic, grab your swimsuit and head to a Nova Scotia beach on the Northumberland Strait, relax at a seaside Nova Scotia accommodation or take in one of the many waterfront attractions - time spent seaside in Nova Scotia will never be forgotten.